In a large sauce pan, over medium low heat melt butter with brown sugar. Add slices of ham, coat with brown sugar butter and cook for 3-5 minutes until ham is browned and caramelized. In a small sauce pan warm sauerkraut. Place slices of cheese onto the bottoms of pretzel bun. 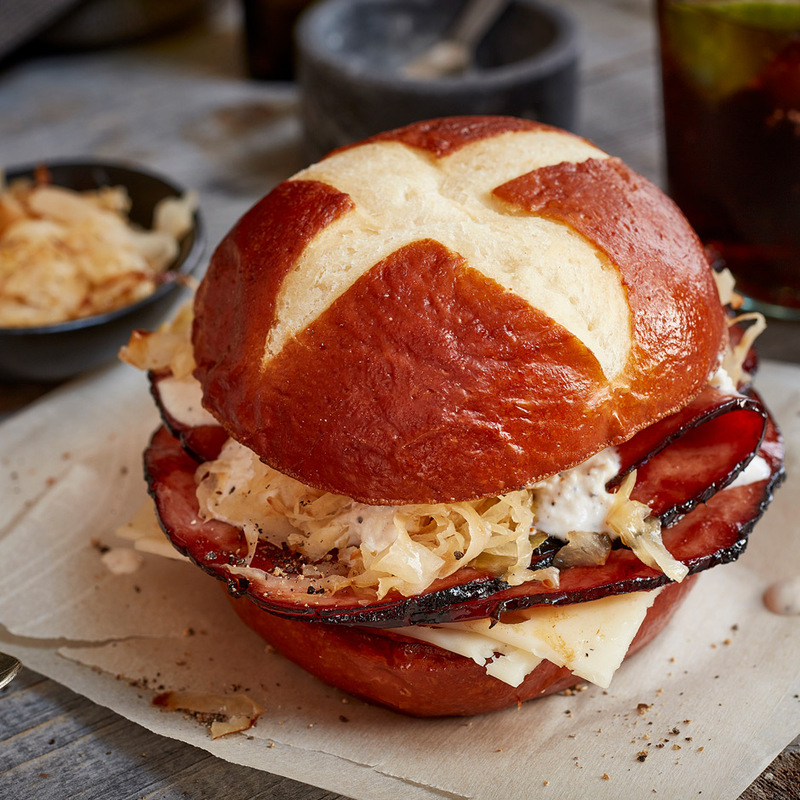 Top with caramelized ham and warm sauerkraut. In a small bowl stir together garlic, horseradish and mayonnaise, season with salt and pepper. Spoon sauce on top of sauerkraut and top with other bun half. Serve warm and enjoy!